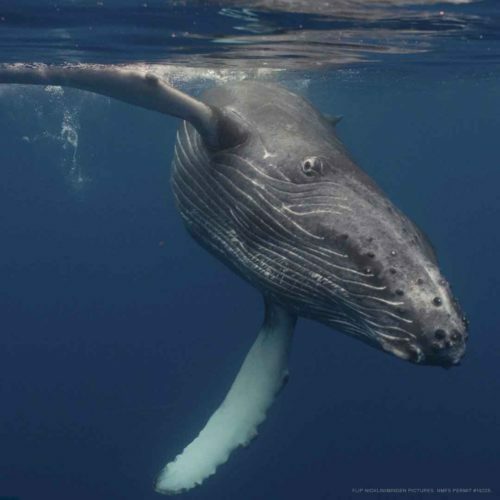 Learn about whales and dolphins from top scientists and conservationists, and experience stunning visuals from world-renowned photographers and videographers at the 13th Annual Whale Tales. Often described as West Maui’s premier whale event, Whale Tales is open to the public and attracts ocean enthusiasts of all ages. 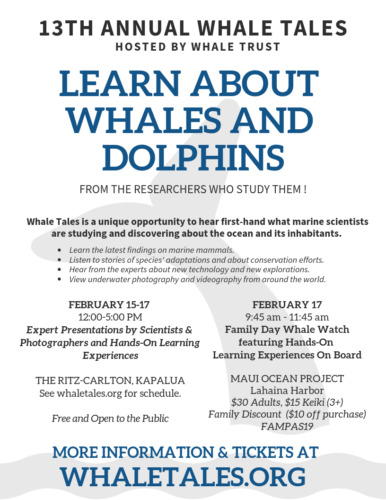 Whale Tales is a unique opportunity for Maui residents and visitors to hear first-hand what marine scientists are studying and discovering about the ocean and its inhabitants. Open to the public, this event features expert presentations, an education and art expo, and benefit whale watches. This year’s event will also feature a hands-on immersive learning experience for all ages through the Whale Tales Marine Science Center. Families are invited to join Whale Trust naturalists and volunteers for the 3rd Annual Whale Tales Family Whale Watch on Sunday, February 17th at 9:30 am. Tickets and more information online at whaletales.org.